Marwa Ayad - The Official Website: "The Years of Silence" Available Soon! 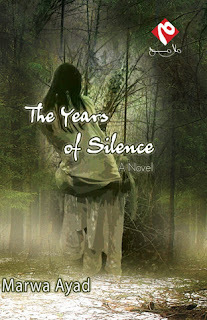 Marwa Ayad's debut English-language novel The Years of Silence (published by Malamih Publishing House) is going to be available in April 2009 at bookstores in Egypt, and later on Amazon. Narrated by Maya (the heroine), this is a story of great love lost and found, and the risks two people in love are willing to take to be together when their love is the greatest risk of all. Congrats Marwa, isA your book will be a hit. Best wishes dear.